1、 快速 不需焊接和再镀锌，安装速度比法兰连接管件快3倍以上。 (Quick: Don’t need to weld and galvanize, the setting time is 3 times quicker than the flange connect fitting.) 2、 简易 它比法兰轻、锁紧机械设计巧妙，螺栓数量少，无须对孔对锁。 (Simple: Compared to flange, its more light, the locking machine is designed handiness, the bolt quantity are few, doesn’t need to holeblockage. ) 3、 可靠 改卡箍、垫圈与管端沟槽系全圆压紧，其管端拉力强度，试验压力达 4.2Mpa，温度－30°C～100°C，真空度可达0.08Mpa；垫圈设计为C型，能形成三重防漏，管内压力越大，密封越好；垫圈可因流体介质、管材、温度来进行合适的选择密封圈材质。 Reliable: The change clip, gasket and the jet trench is pressed tightly, its jet tensile strength, the test pressure reaches 4.2Mpa, the temperature - 30°C ~ 100°C, the vacuum degree may reach 0.08Mpa; The gasket design is C, can form tertiary guard against leaking, the more pressure is in the internal, the sealing will be more better; The gasket fits different sealing material according to the fluid medium, the tubing, the temperature . 4、隔振吸震 Separate vibration and attract shake ⑴因管末端有间隙可有效地隔断噪音及振动地传播，热胀冷缩时管路亦不受影响； It can be effectively separate the noise and vibration as its have some space at the end of the tube, the pipeline is not affected when thermal expansion or contraction. ⑵密封垫圈也可吸收噪音及振动。 The hard sealing gasket also can absorb the noise and vibration. 5、经济安全 Ecnomy safely 便于工程预算较法兰式连接节约总工程费用地20％，施工无需电源、氧气、明火。 It’s easy for project budget and can save 20% of the total charge compared to flange connecting, the construction don’t need the power supply, oxygen, and fire. 6、零污染 因原件不存在焊渣和破坏镀锌层与涂塑层的问题。故可确保管道畅通。连接后的管路尤其消防喷淋系统不会因其他方式的连接而生产锈蚀堵塞管路中的设备。 No pollution Because the original parts do not exist such problems: weld dregs , destruct the galvanization level and spread model level. It can guarantee the pipeline to be unimpeded. After connecting, the pipeline especially fire prevention spray system will not produce rust to jam the equipment because of other ways connection. 7、占据空间少 Little holding space 法兰安装空间较卡箍接头为3：2。卡箍接头及配件可先进行安装，并可调整任意方向、角度。 The flange installment space compares the clip attachment is 3: 2. The clip attachment and the fittings may first carry on the installment, and can adjust the random orientation, the angle. 8、维护方便拆洗与更换只需拆下两个卡箍，4个螺栓即可，便于管路延伸、更换、转动方向。 Maintain conveniently Takes apart and washes only need to dismantle two clips, 4 bolts . 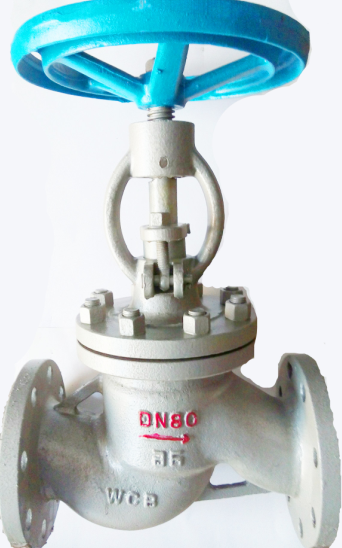 are advantageous for the pipeline to extend, replace and rotate the direction.